From an investment perspective those who had the bulk of their investments in the stock market had a very topsy turvey month in October. The debt crisis in Europe dominated the evening news (and still is) and stocks were loosing value more then gaining. However, real estate in Mississauga, Toronto, Etobicoke, Oakville and Brampton just kept on climbing both in numbers of sales and prices. During the month of October total sales reported in the greater Toronto Area amount to 7, 642 an increase of 16.4% over the number of sales at the same time last year. The average selling price in October was up 8% to $478, 137. 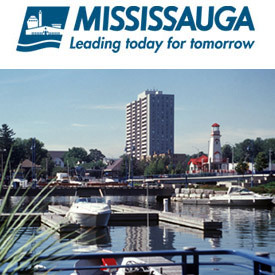 With respect to the Mississauga real estate market total home sales were 916 with an average price of $429,033. The number of new listings on the market during the month was 1430 and active listings at the end of the month 1823. The average days a home was on the market was 24 days. Although the inventory of homes has increased since the spring and summer the market remains a Seller’s market meaning the number of buyers looking for a home surpasses the number of homes available. The Canadian Mortgage Housing Corporation recently released their quarterly housing market outlook which predicts that sales for the remainder of the year will remain at the same pacing with a continued edging towards a balanced market. Predictions in this report also indicate that the total number of sales and prices for 2012 will stabilize with modest increases.